Anji Shah is a research geophysicist with the Crustal Geophysics and Geochemistry Science Center in Denver, CO, specializing in the use of gravity, magnetic and radiometric methods for geologic characterization and interpretation. She is currently working on several projects involving subsurface geologic characterization for earthquake hazard, mineral resource, and energy resource applications. She also has a background in marine geophysics. For earthquake hazard studies, Dr. Shah uses gravity and magnetic data to distinguish contacts between subsurface rocks with different densities or magnetic properties. In some regions, these contacts may delineate buried faults and other structures that suggest seismic risk (see this article for application to the 2011 Mw5.8 Mineral, Virginia earthquake). Gravity and magnetic data can also be used to distinguish areas that may be more likely to exhibit seismicity in response to fluid injection (see this article for application to north-central Oklahoma). 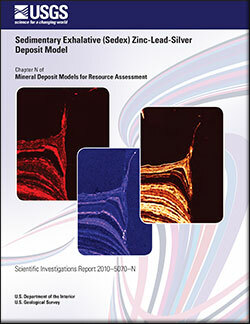 Dr. Shah has also led several projects involving imaging and evaluation of rare-earth-element (REE) deposits. Concentrations of REE-bearing minerals in certain geological environments can be detected using radiometric and magnetic methods. Heavy mineral sands are of particular interest because their extraction involves minimal impact; REE-bearing monazite and xenotime have been observed throughout the southeastern U.S. (visit related project page). The Eastern Adirondacks were mined in the 1800’s and 1900’s for magnetite. The ores also contain REE-bearing apatite, and often REE’s are present in mining tailings. A combination of geophysical, geological and geochronological approaches is being used to study this area (visit related project page). 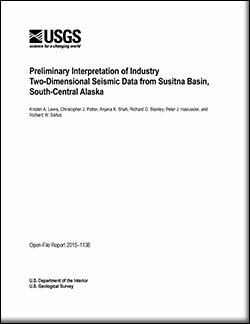 Research Geophysicist, U.S. Geological Survey, 2007-present. Senior Research Scientist, Dynamics Technology, Inc. (now Raytheon Company), 2004-2007. National Research Council Postdoctoral Research Associate, Naval Research Laboratory, 2001-2004. Shah, A., 2014. Airborne Geophysical Surveys over the 2011 Mineral, Virginia, Earthquake Area. 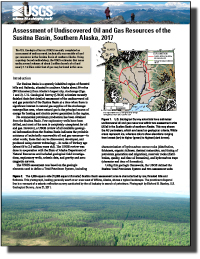 U.S. Geological Survey ScienceBase. Data files and documentation. doi: 10.5066/F78K773V. Link. Shah, A.K., 2016, Airborne Geophysical Surveys over the Eastern Adirondacks, New York State: U.S. Geological Survey data release, https://dx.doi.org/10.5066/F72R3PT0. 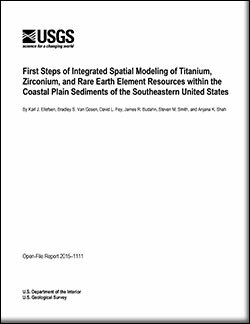 Van Gosen, B., D. Fey, A. Shah, P. Verplanck, and T. Heofen, 2014, Deposit Model for heavy-mineral sands in coastal environments, U.S. Geological Survey Scientific Investigations Report 2010-5070-L. Link. Blacic, T., G. Ito, A. Shah, J. P. Canales, and J. Lin, 2008, Axial High Topography and Partial Melt in the Crust and Mantle beneath the Western Galapagos Spreading Center, Geochemistry, Geophysics, Geosystems,9, Q12005. Shah, A., J. Brozena, P. Vogt, D. Daniels and J. Plescia, 2005, New surveys of the Chesapeake Bay impact structure suggest melt pockets and target structure effect, Geology, 33, 417-420. Shah, A. and W. R. Buck, 2006, The rise and fall of axial highs at ridge jumps, Journal of Geophysical Research, 111, B08101. Shah, A., M.-H. Cormier, W. F. Ryan, W. Jin, J. Sinton, E. Bergmanis, J. Carlut, A. Bradley and D. Yoerger, 2003, Episodic dike swarms inferred from near-bottom magnetic anomaly maps at the southern East Pacific Rise; Journal of Geophysical Research, 108, 2097. Shah, A. and W. R. Buck, 2003, Plate bending stresses at axial highs and implications for faulting behavior, Earth and Planetary Science Letters, 211, 343-356. Cormier, M.-H., W. B. Ryan, A. Shah, W. Jin, A. M. Bradley, D. Yoerger, 2003, Waxing and waning volcanism along the East Pacific Rise on the millennium timescale, Geology, 31, 7, 633–636. 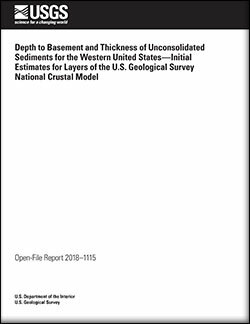 Shah, A. and W. R. Buck, 2001, Causes for axial high topography at mid-ocean ridges and the role of crustal thermal structure, Journal of Geophysical Research, 106, 30,865-30,879. Shah, A. and J.-C. Sempéré, 1998, Morphology of the transition from an axial high to a rift valley at the Southeast Indian Ridge, and the relation to variations in mantle temperature, Journal of Geophysical Research,103, 5203-5223. Géli, L., H. Bougalt, D. Aslanian, A. Briais, J. Etoubleau, M. Maia, J.-P. LeFormal, H. Ondréas, C. Richardson, K. Sayanagi, A. Shah, I. Vlastelic, M. Yamamoto, 1997, A geophysical and geochemical study of the Pacific-Antarctic Ridge south of the Udintsev FZ: The Pacantarctic cruise with R/V L'Atalante, Science, 278, 1281-1284. Goff, J. A., Y. Ma, A. Shah, J. R. Cochran, and J.-C. Sempéré, 1996, Stochastic analysis of seafloor morphology on the flanks of the Southeast Indian Ridge: The influence of ridge morphology on the formation of abyssal hills, Journal of Geophysical Research, 102, 15,521-15,534. Shah, A. K., and G. R. Keller (2016), Geologic influence on induced seismicity: Constraints from potential field data in Oklahoma, Geophys. Res. Lett., 43, doi:10.1002/2016GL071808. Foley, Nora K.; Bern, Carleton R.; Ayuso, Robert A.; Hubbard, Bernard E.; Shah, Anjana K.
Lewis, Kristen A.; Potter, Christopher J.; Shah, Anjana K.; Stanley, Richard G.; Haeussler, Peter J.; Saltus, Richard W.
Horton, J.W., Jr., Shah, A.K., McNamara, D.E., Snyder, S.L., and Carter, A.M., 2015, Aftershocks illuminate the 2011 Mineral, Virginia, earthquake causative fault zone and nearby active faults, in Horton, J.W., Jr., Chapman, M.C., and Green, R.A., eds., The 2011 Mineral, Virginia, Earthquake, and Its Signifi cance for Seismic Hazards in Eastern North America: Geological Society of America Special Paper 509, p. 253–271, doi:10.1130/2015.2509(14).